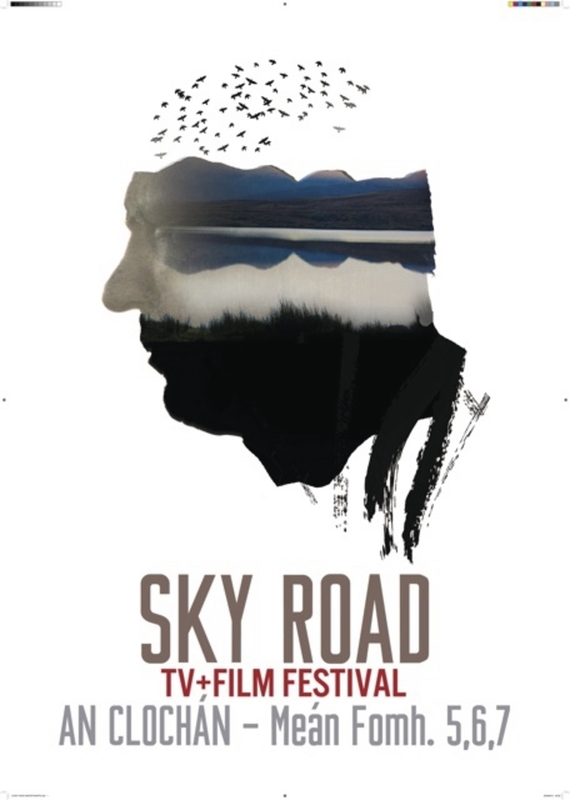 The Sky Road TV & Film Festival has announced details of its inaugural programme, which includes an exciting selection of Irish television and filmmaking talent across features, shorts, documentaries, and new media in English and Irish languages. The new three-day festival takes place at the The Station House Theatre in Clifden from Friday Septmeber 5 to Sunday September 7. The festival programme will feature more than 60 screenings over the course of the weekend. Among its exciting schedule are the Irish premieres of two feature documentaries; Endure, a first hand account of the cycling challenge two young Irish lads set themselves to cycle 26,000km across 27 countries, on five continents, in 11 months, and One Ocean, No Limits which follows a young rower through the highs and lows of rowing unassisted as part of a six-man crew across the Atlantic ocean from Morocco to Barbados, the first ever Irish documentary on the subject of extreme ocean rowing. Other highlights include Torthai Na Daoirse - Blood Fruit, which follows the story of Mary Manning, the 21 year old Dunnes Stores checkout girl who took a stand over the sale of South African fruit in support of the anti-apartheid struggle in the 80s; From Tee to Green - The Story of Irish Golf, a three part sporting history, featuring great players, spectacular courses, and moments of high drama; The Last Days of Peter Bergmann, charts the movements of a mystery man who spent the last four days of his life around Sligo town; and Ceolchuairt where a Belfast troubadour embarks on a musical pilgrimage to Jamaica to the roots of Bob Marley. The festival will screen three feature films over the weekend; Darkness on the Edge of Town, which looks into the troubled life of a teenage sharpshooter striving to avenge the brutal murder of her estranged sister; A Nightingale Falling, set during the War of Independence in Ireland, two sisters’ lives are changed forever as they care for a wounded soldier in their home; and finally Sodium Party, which follows Claire as she deals with the ghosts of her past through Super 8 home movie footage while at university, where she meets Danny, a frequently intoxicated photographer who exposes her to real life through a cocktail of love and drugs. The closing feature will be the world premiere of Tommy: To Tell You The Truth, an edgy and revealing observational documentary directed by Pat Collins, which provides an insight into the life and creative impulse of Tommy Tiernan, one of the leading comedians of his generation and one that is always pushing both himself and the boundaries of his material. Tiernan will attend the screening with a Q&A afterwards. The festival will bring unexpected stories to audiences throughout the three days, both entertaining and thought-provoking from a broad range of emerging and established filmmakers, all of whom will be in the running for the festival awards which will be announced on the Sunday night following the closing film. The categories are: Best Short Film and Best Short Film First Time Director, Best Feature Film, Best Feature Documentary, Best Short Documentary, Best Documentary Series, Best 3 Minute Short and Best 1 Minute Short. The Spirit of the Festival Award will be presented in recognition of the film, television programme, or event that encapsulates the spirit of the Sky Road TV & Film Festival each year. The judging panel will include figures from the Irish film industry and film journalists including six time Academy Award nominee Jim Sheridan, Bob Quinn, Ross Whitaker, Martha O’Neill, Paddy Hayes, Jill Beardsworth, Barbara McCann, and film journalists Tara Brady, Donald Clarke, Daniel Anderson, and Nicola Timmons. Tickets for the festival screenings are available to purchase online at www.skyroadfilmfestival.com or in person at the festival. Page generated in 0.1068 seconds.